There are 24 reviews of Eau de Givenchy (original). I've worn this for about 25 years now, and it just makes me happy. V: the top notes combine bergamot, whiffs of mint, green connotations, and a ripe and deep and slightly raisinous rose impression growing stronger with time. The drydown sees a shift away from the fresh towards to more unequivocal floral side, with jasmine, lily-of-the-valley and cyclamen blended together very harmoniously. Sandalwood is prominent in the base of V, with a dark but restrained musky - but not too faecaloid - undertone, and a soft patchouli. I get a pleasant nut not very firm oakmoss in the background that fades out slowly towards the end. R: a bright, loud and fresh minty opening with a fresh fruity backgound and a grassy sideline - with a touch of bitter lemon added in - defines the opening blast. Soon the floral heart notes arrive, also on the bright side, dominated by jasmine and white florals. The base of R is quite lightweight, with woodsy notes - cedar mainly - and white musks being the main components. I only get whiffs of a rather perfunctory moss impression here. Both versions display moderaye sillage and very good projection; and both have a longevity of eight hours on my skin, with V being closer to my skin towards the end. Comparing both versions of this spring scent, V strikes me as being composed of ingredients that are more natural, richer, vivid in colour and of much higher quality. V's opening is darker and more sensual, whilst the top notes in R are brighter, fresher, and have a slightly screeching character at times. From the drydown on V becones less convincing that in the toop notes, but still expresses considerable development and quality. On the other hand, the heart and the base notes of R are rather synthetic and quite generic at times. Both perform equally well on me. Scores: V: 3.5/5. R: 3.0/5. Total: 3.25/5. I haven't smelled the reissue, and this review is for the vintage version. I had come to accept that my chemistry must have changed a lot, because I used to do so well with green chypres and green florals, yet I never find a new release along those lines that works for me. However, wearing Eau de Givenchy for the first time in 25 years makes me realize that our context for what qualifies as a fresh or green or dewy scent has really changed! For this scent is objectively just as I remember it, with the minty burst up front, the un-sweet florals, and the mineral-y, grassy drydown, yet it's not a happy-go-lucky scent by today's standards; it is so shockingly somber and formally structured compared to, say, what's going on at Hermes. As much as Jour d'Hermes should be something I'd love - and it did smell magical to me in the air - as worn, it became a flat and monotonous lemony musk. Whereas Eau de Givenchy doesn't smell that "happy" and springlike in the bottle - it's definitely perfume and not the magical capturing of a spring day - it DOES magically develop into a cool spring day on my skin. The drydown actually reminds me a lot of Sisley's Eau de Campagne. Certainly could be unisex, yet I hold it up there with vintage Diorissimo as an example of how lily of the valley can be devastatingly beautiful in a feminine. Eau de Givenchy is a nice, pleasant, relaxed chypre which brilliantly manages to combine a fresh, minty, summery breeze, almost "iodine" in a way, with a denser, darker and stickier base line of notes more typically found in classic chypres – the usual musky/animalic mossy base, not particularly earthy or heavy here, but still carrying that kind of slightly skanky-sweaty smell. In the middle, a bouquet of flowers ranging from carnation to rose, then sandalwood, patchouli, perhaps vetiver. Shortly a classic Oriental chypre on the mossy-woody side with a remarkable fresh twist – halfway mineral and fruity, azure and refreshing, played not on calone but rather on a combination of balsamic, floral, fruity notes which delivers a colourful, fresh breath, slightly aqueous too. Totally refined, a kind of "weekend" relaxed elegance. Perfect elegant drydown (which despite the name "Eau de...", is quite long-lasting). A good one for sure! 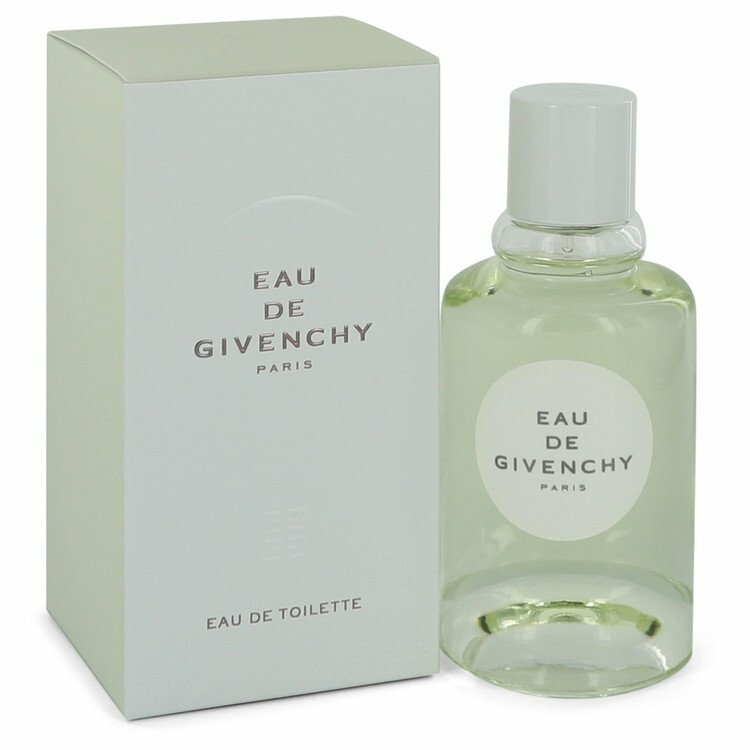 Eau de Givenchy is a screechy, chemical citrus-floral composition that’s at once harsh and hollow. It smells more like an unpleasant soap than a perfume. To employ a technical term: ick! Eau de Givenchy is an overlooked masterpiece. I wonder how so many fine noses missed the gentle caress of green grassy notes as they part for a brilliantly-executed honeysuckle, lily of the valley, jasmine, and tuberose exposé. Although the florals follow the lemon and bitter mint, they don't take center stage for very long. As the evolution trends dangerously close to floral territory, bitter oakmoss and grassy notes reemerge to flank the sweetness. Eventually everything dries into a citrusy green melange of herbs and spices, tinged by the gentleness of honeysuckle, and darkened by a withdrawn-but-present tuberose. Simply beautiful, and comparable in tonality to Chevrefueille Original by Creed. There are no member images of Eau de Givenchy (original) yet. Why not be the first?